LOWELL, MA - It was a hard fought game on both sides but unfortunately the Vermont Lake Monsters (33-34) were able to outlast the Spinners (33-33) to finish a three-game sweep. Lowell starting pitcher Brian Brown struck out three in two innings and did not allow any hits or runs to lower his ERA to 2.08. Vermont struck first in the top of the third and went on to score a pair of runs off of reliever Taylor Ahearn. He struck out six in 4.1 innings of work. Lowell added a run in the bottom of the fourth after Tyler Esplin drove in Devlin Granberg with an RBI-single. 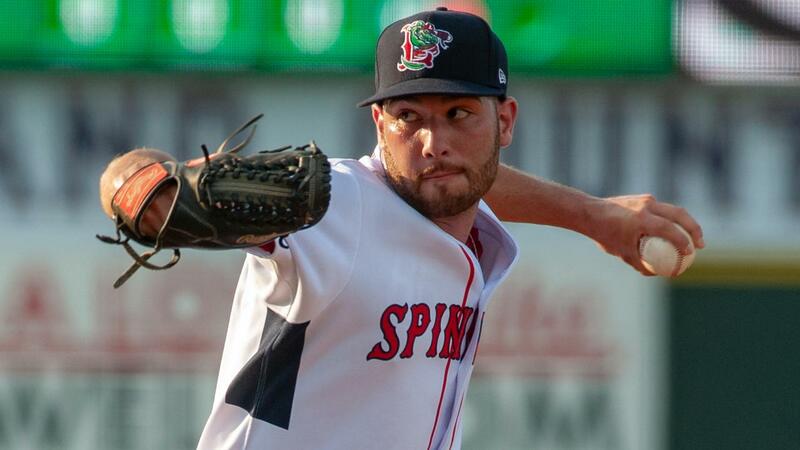 The Spinners tied the game up again in the bottom of the seventh when Korby Batesole kept the inning alive with a two-out single. Jonathan Ortega then brought him home with a triple to make it 2-2. Lane Milligan singled in the bottom of the eighth and came in to score on a double by Granberg to give Lowell a late 3-2 lead. Andrew Politi allowed an earned run in the top of the ninth, allowing the Lake Monsters to tie the game. In extra innings, the Lake Monsters benefited from the new rule in Minor League Baseball that places a runner on second base as Kevin Biondic was charged with an unearned run to give the Lake Monsters a 4-3 victory. After getting swept at home, the Spinners now head to Connecticut for three games on their last road trip of the season. First pitch is scheduled for 7:05 p.m. on Monday.